This book compliments and enriches the listening experience by offering insight into the ideas that inspired the Rogue Hunter: Inquest soundtrack. 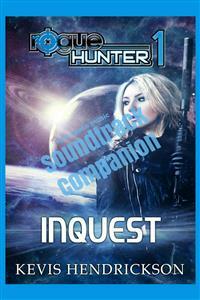 Commentary is provided by the creator of Rogue Hunter: Inquest and features a complete list of tracks and credit attribution. It is a perfect companion to the soundtrack.Don't have the soundtrack? Links are provided in ebook so that you can listen to the entire album on your reading device. Note: E-readers without audio or web-browsing capabilities may not be able to play music.